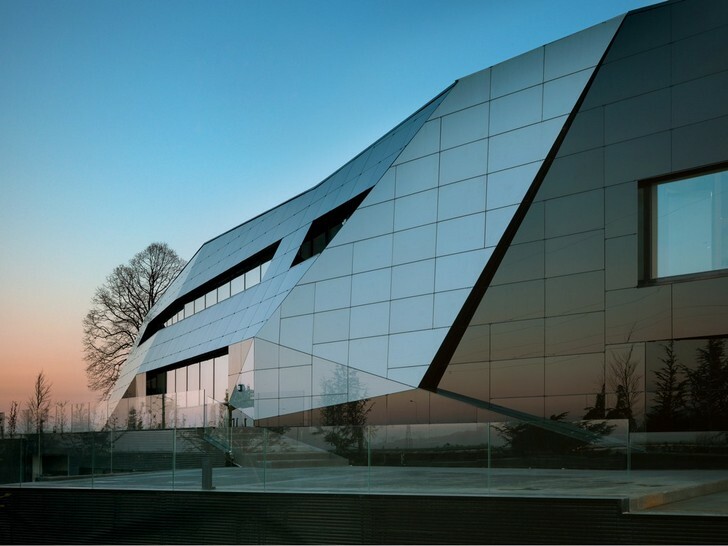 This bold sculpture is actually an office building in Piemonte, Italy and it features a number of energy-efficient features. 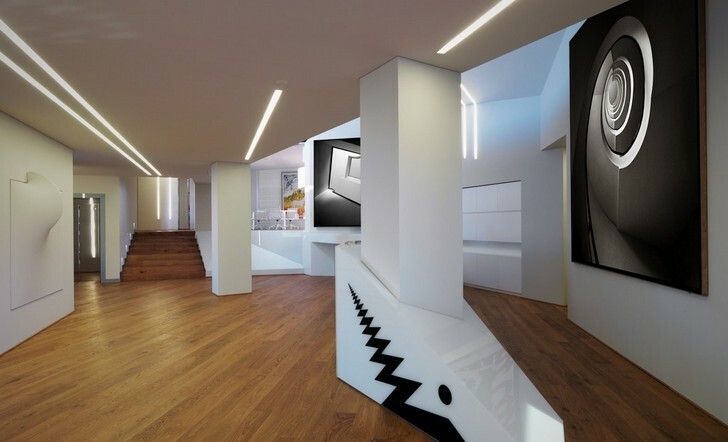 Designed by <a href="http://www.damilanostudio.com/" target="_blank">Damilano Studio Architects</a>, the <a href="http://www.damilanostudio.com/works/oficinavidrenegre.html#" target="_blank">Oficina Vidre Negre</a> is composed of a series of angular volumes clad in black glass panels and integrated photovoltaic panels. 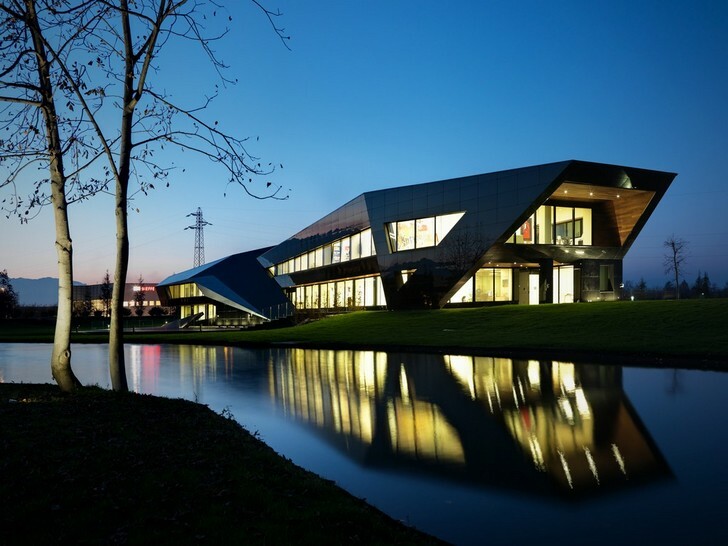 The high-performance envelope is combined with efficient mechanical systems and daylighting to achieve a low-energy office. 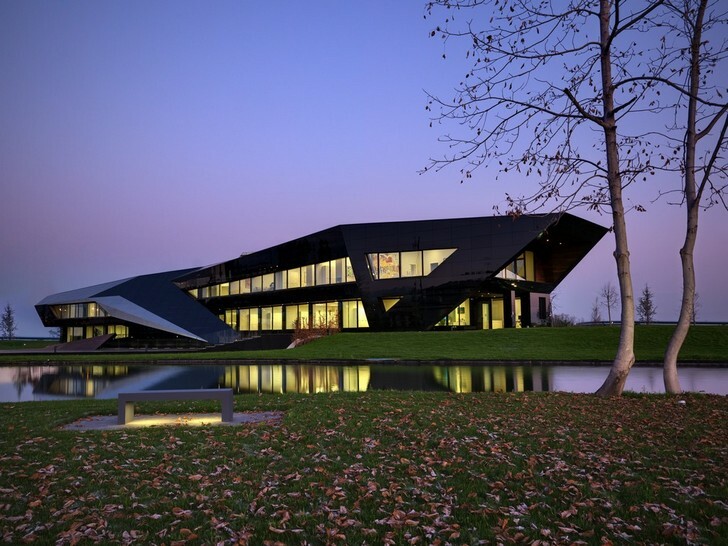 Oficina Vidre Negre is a three story office building located in Cuneo, Piemonte, Italy. 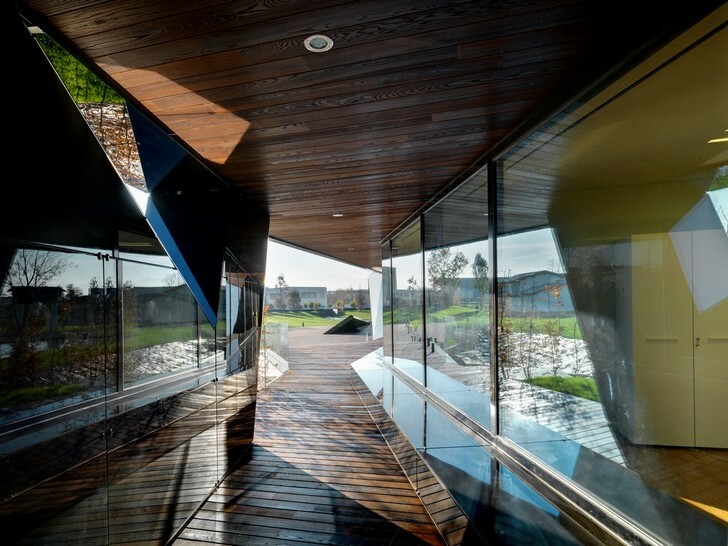 The sculptural, prismatic design is a reflection of the client's dynamic business and the angular volume is seen on both the outside and on the inside. 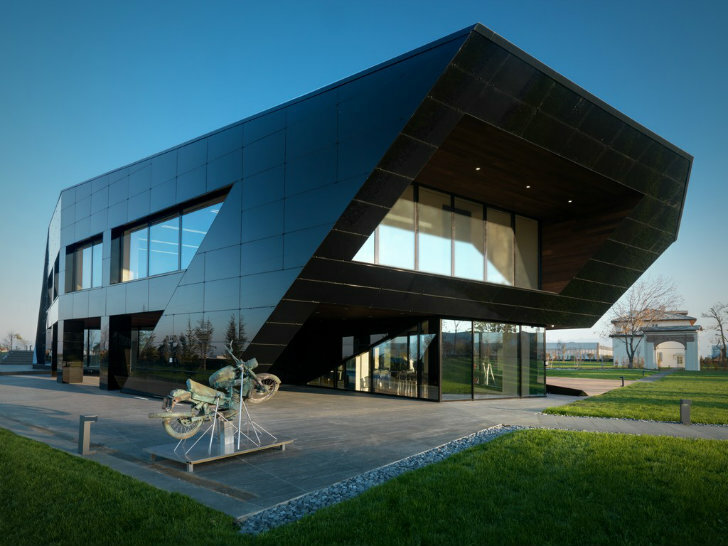 The building is clad in black glass and integrated photovoltaic panels that help generate power for the building. Recessed windows, large overhangs and low E glazing help to reduce heat gain and glair on the inside. The building wraps around a large body of water that is used as a reserve for fire fighting as well as irrigation for the surrounding park. A large overhang shades the upper and ground floors. 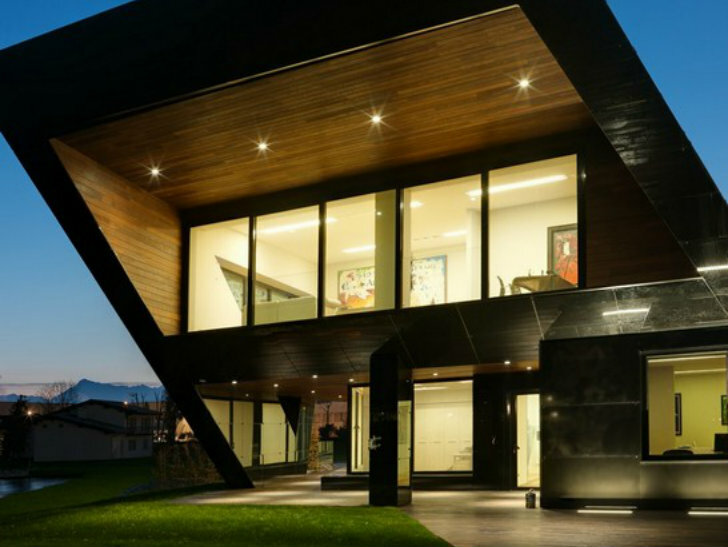 Radiant floor heating and cooling, heat air recover and a water-to-water ground source heat pump ensure low energy use to provide climate control. In addition, the building's envelope is highly insulated to minimize heat losses. Covered walkway with glass to let in light into the offices. 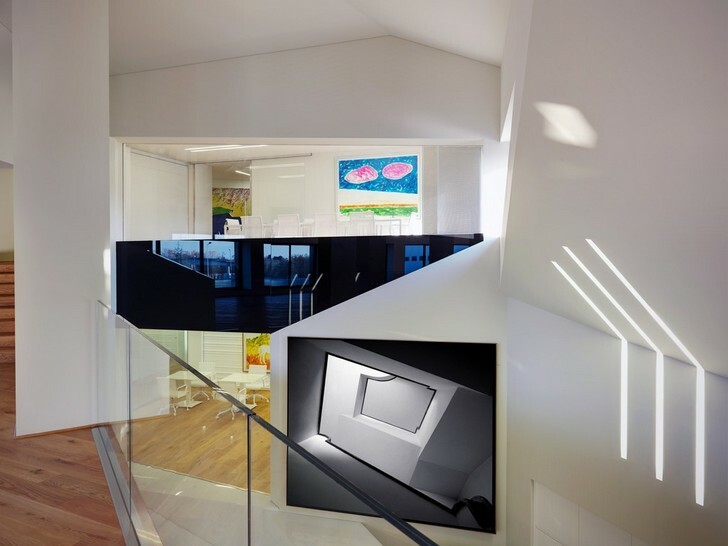 Bright white spaces reflect interior light. 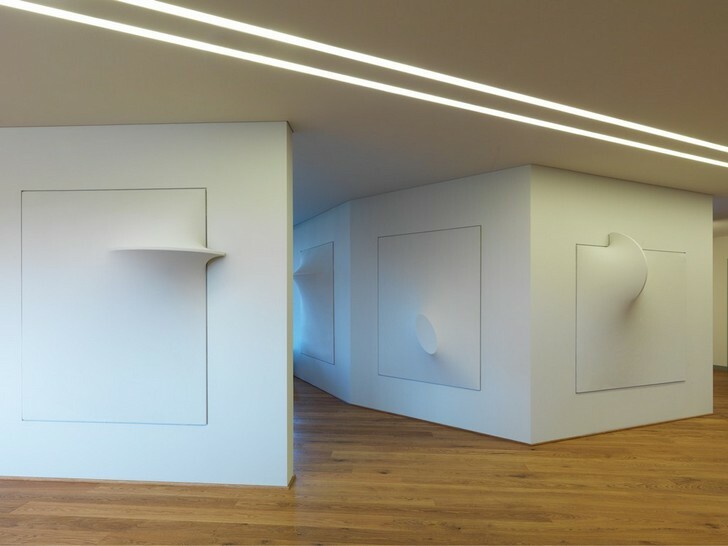 Creative decor and sculptural elements. Open atrium connect the floors and space together. 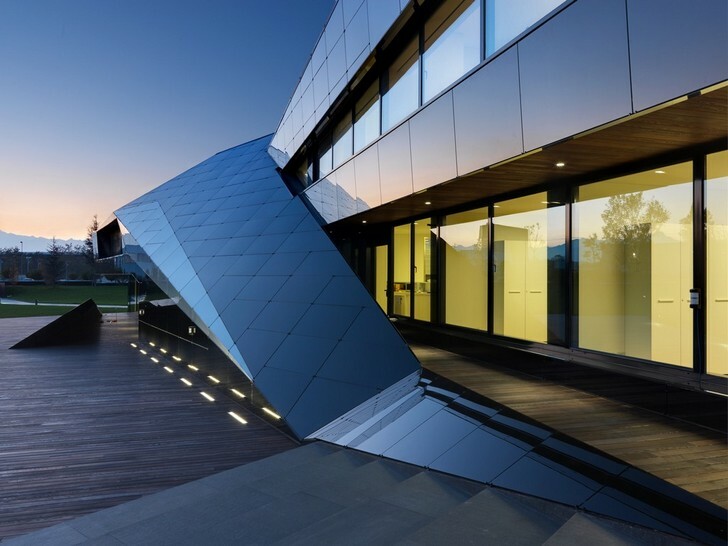 This bold sculpture is actually an office building in Piemonte, Italy and it features a number of energy-efficient features. 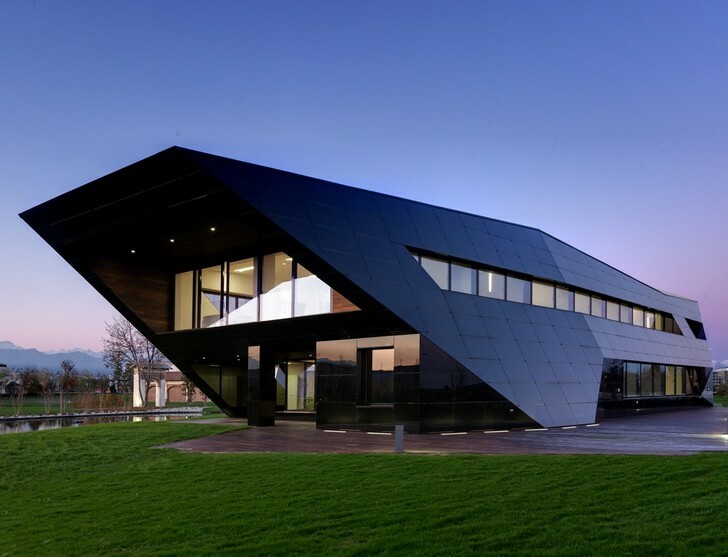 Designed by Damilano Studio Architects, the Oficina Vidre Negre is composed of a series of angular volumes clad in black glass panels and integrated photovoltaic panels. 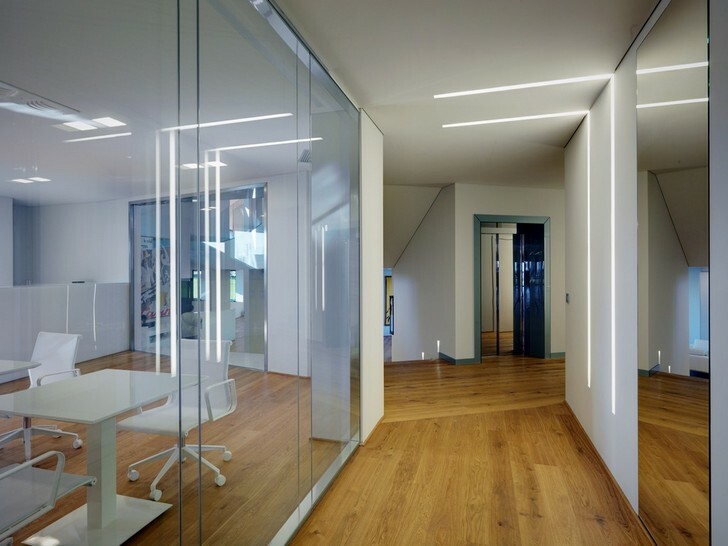 The high-performance envelope is combined with efficient mechanical systems and daylighting to achieve a low-energy office.